The editor apologizes to Claus and our readers for posting this a day late. Nonetheless, in the interests of preserving the historical record of this riveting legislative session, here it is. 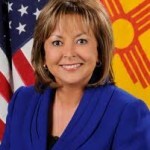 In week three of the New Mexico Legislature, legislative committees got very busy and Gov. 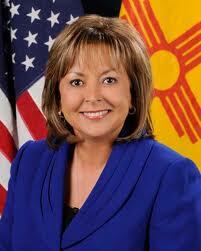 Susana Martinez issued another yet another executive order right in tune with the themes from her election campaign. In the wake of the Super Bowl, a football analogy seems appropriate. By repeatedly running the executive order route, the Governor appears to be attempting end runs around the legislative branch of government – as well as the law. And on three of these plays, she has run afoul of those black-robed refs in the third branch of government — the New Mexico Supreme Court. On Monday before either chamber had convened, the Republican members of the House Energy and Natural Resources Committee walked out in the middle of a meeting. The revolt was led by Rep. Don Bratton (R-Hobbs). While it is common for individual members of committees to talk to the press after a hearing, the fact that all of Republican committee members joined together after the walkout to craft a collective statement to the press brings up some questions. The united statement spun the walkout as being unplanned and said the Republicans were just trying to represent the “people” in what they considered an unfair hearing. However, it is worth noting that joining the walkout were a significant number of industry lobbyists. Presumably, this was done to remind us all that corporations are people too — albeit artificial ones. It remains to be seen whether we will see more “unplanned” walkouts in the days ahead. Later in the week, Gov. Martinez issued an executive order mandating that state police officers question criminal suspects about their immigration status. The executive order revoked a policy put in place by former Gov. Bill Richardson in 2005. On Thursday morning, more than a dozen Democratic senators and representatives called a noon press conference in the Rotunda to denounce Gov. Martinez’s executive order. “There are two things to take away from this: We are not Arizona and it is important that no one in this state will fear approaching a police officer,” said Sen. Jerry Ortiz y Pino (D-Albuquerque). In what turned into a duel of competing press conferences, Martinez scheduled one of her own at 12:30 PM to talk about the gas outages throughout the state.